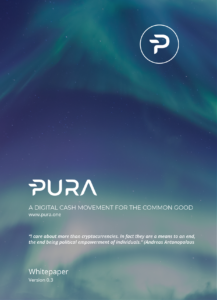 We offer merchandise related to PURA and cryptocurrencies in the shop on the Website. Please note that the shop on the Website is operated by HODL. For any purchase you make in the shop on our Website, HODL is your sole contracting partner and solely HODL’s terms, conditions and policies apply. Payments for any purchase from the shop on the Website are executed through a separate payment provider, terms, conditions and policies apply.